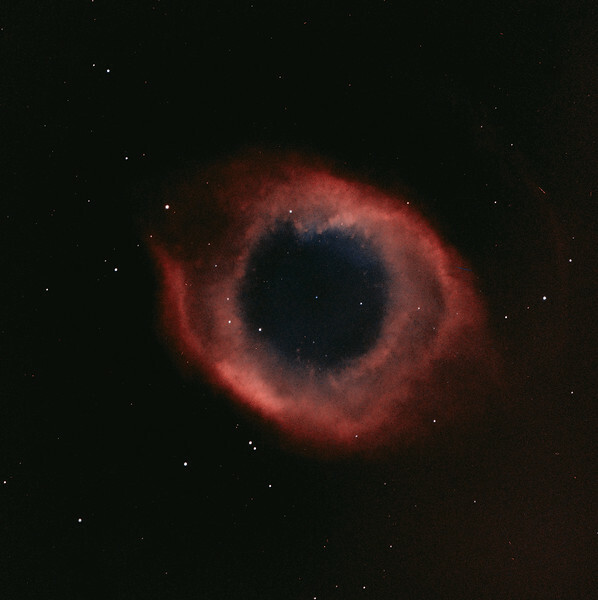 The Helix Nebula, also known as The Helix, NGC 7293, is a large planetary nebula located in the constellation Aquarius. it has sometimes been referred to as the "Eye of God" in pop culture as well as the "Eye of Sauron". Remotely imaged on a 17" Planewave astrograph at New Mexico Skies Observatory in Mayhill New Mexico.